A herd leave in the morning. 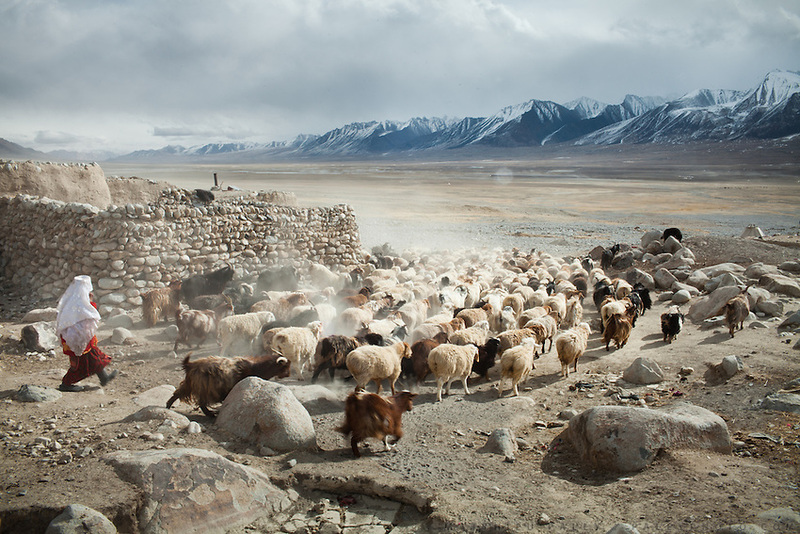 The greatest number of Kyrgyz livestock is comprised of sheep and goats. The latter are used to keep the sheep moving...Kyzyl Qorum, campment of the former deceased Khan, Abdul Rashid Khan..Trekking with yak caravan through the Little Pamir where the Afghan Kyrgyz community live all year, on the borders of China, Tajikistan and Pakistan.